If PokerStars has its way, California’s iGaming legislation will not prevent the online giant behemoth from entering the market. According to a rumor put forth by iGamingPlayer via its Twitter feed, PokerStars is in cahoots with the Morongo Tribe of Mission Indians, together working to guarantee that any piece of iGaming legislation out of California not exclude the poker giant from setting up shop. Given iGamingPlayer’s largely dubious credentials and spam laden website, the validity of its claim remained in question. That is, until Gambling Compliance released a report stating that PokerStars, the Morongo and two California-based card rooms were in fact in alignment, all with the common goal of blocking a “bad actor” exception from making its way into California iGaming law. Granted, the fact that PokerStars would partner with an influential Californian tribe should come as little surprise. Ever since regulated poker made its way to US-soil, the Rational Group owned company has been aggressively pursuing any opportunity to re-enter the market, evident by its concerted effort to first align with the now defunct Atlantic City Club and then Resorts Casino in New Jersey. Unfortunately for PokerStars, New Jersey’s Division of Gaming Enforcement suspended PokerStars application for a period of two years. And while the DGE may ultimately lift the suspension, pending the site adhere to certain provisions, California and its 38 million residents presents a much more lucrative opportunity. Also, consider that California recently revitalized its push for a regulated iGaming bill. In February, Assemblyman Reginald Jones-Sawyer (D-59) proposed bill AB 2291, an emergency bill that would effectively introduce regulated Internet poker to the Golden State while simultaneously outlawing all other forms of online gambling. The bill also called for Internet poker regulations to be finalized a mere 270 after the bill is signed into law – a relatively quick turnaround given the magnitude of the bill. A similar bill, SB 1366, was introduced by State Sen. Lou Correa (D-34) – a longtime proponent on Internet poker. The main difference: instead of 270 days, SB 1366 calls for regulations to be set in stone a mere four months after the bill’s passage. Due to infighting among politicians, tribal leaders and influential players in California’s brick and mortar gaming industry, the language of an iGaming bill may not be agreed upon for some time. 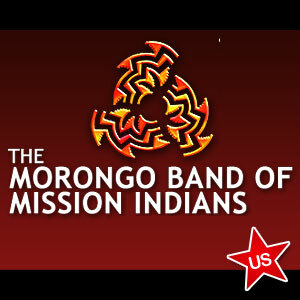 However, signs indicate that most of the Morongo’s initial trepidations have been quelled. Other California-based tribes have already taken steps to prepare themselves for the forthcoming iGaming revolution. Case in point: Phil Ivey and bwin.party ex-CEO Jim Ryan have latched on with the Pala Band of Mission Indians to form Pala Interactive. Together, they plan on launching an online poker site as soon as state regulated iGaming goes live in California. So yes, while there are still plenty of lingering issues to iron out, especially regarding revenue distributions, authorizing online poker in California is much closer than some might think – and what better time for PokerStars to ensure its place at the center of it all? Due to its aggressive business strategies, and unparalleled ability to draw players through its exemplary software, savvy marketing techniques and brand recognition, any state considering an iGaming bill would be hard pressed not to allow the online poker giant into the mix, even California.